A cute pop up situated just inside Great Portland Street. Drinks courtesy of Supernatural Juice Bars. Supernatural Juice Bars were first introduced through the Canary Wharf branch, their flagship store in 2012. 3 years on and a few pop-ups later we see the scale and potential Supernatural Juice Bars can bring to the organic drinks market. 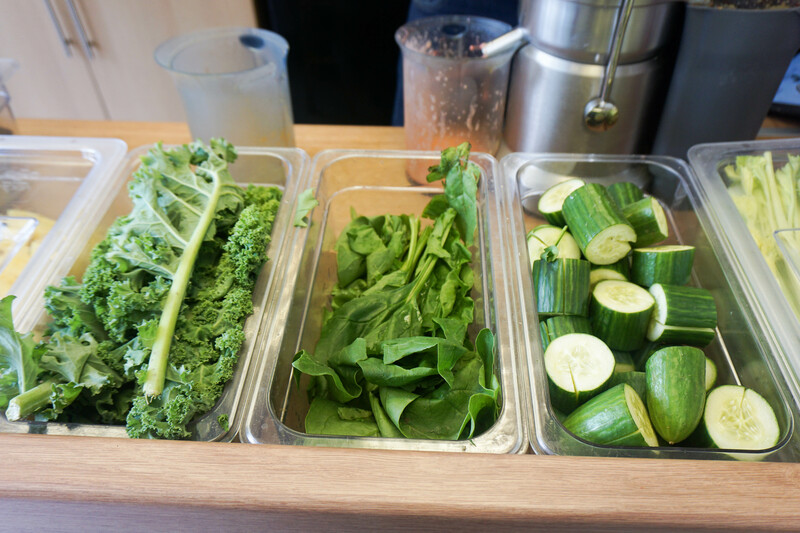 Hand crafted and locally sourced, the juices are made and delivered fresh. 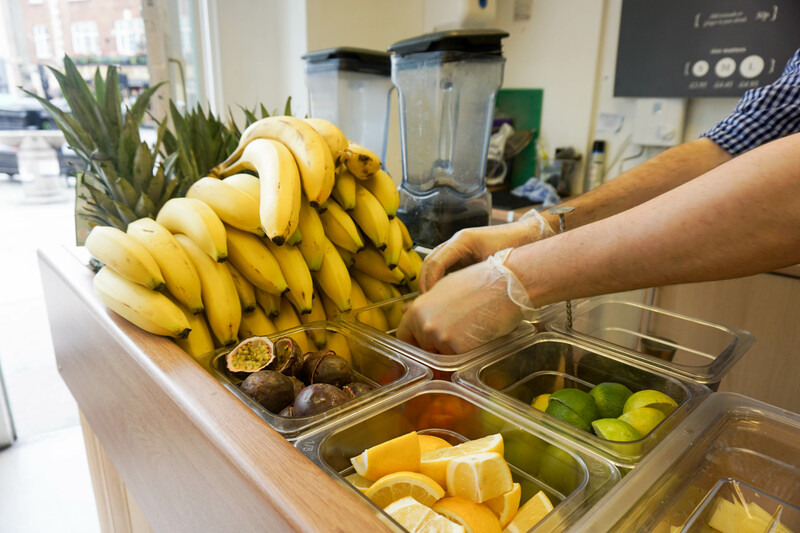 Things are kept simple at Supernatural Juice Bars, with 3 different sizes and no hidden costs. There are seating areas at the Great Portland branch where you can people-watch and stare out into the bustling streets of W1. Strawberry Zing comes under ‘Juice’ drinks and consists of strawberry, ginger, lemon, apple & honey. I loved this one as I was feeling something refreshing and fruity. Strawberry Zing matches just that. I was google-eyed at the ombre mixture of condiments, something pleasing to the eye. Under ‘smoothies’ we have the Bananaberry, which consists of banana, strawberry, raspberry, blueberry & almond milk. This was a much thicker texture, and you can visibly see bits in the smoothie to verify how organic and freshly made these drinks are. Perfect as a substitute to a meal, or a snack if you’re feeling hungry but don’t necessarily want to eat.